With worsening traffic congestion on roads and improved first and last mile connectivity at Metro stations across the city, ridership is going up every day. HYDERABAD: The Metro rail ridership is now crossing the one lakh mark on several weekends and routine weekdays, said Metro authorities, on Tuesday. 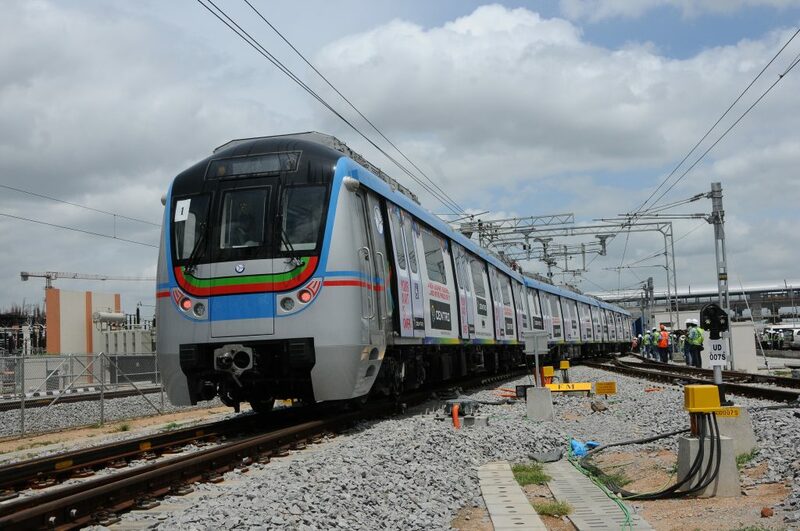 According to figures provided by the authorities, while nearly 1,18,000 commuters, including 1,10,000 paid passengers, used the Metro on Sunday on Monday, a total of 1,10,000 commuters, which included 1,02,000 paid passengers, used the service, informed Hyderabad Metro Rail Limited (HMRL) managing director N V S Reddy, on Tuesday. According to Reddy, with worsening traffic congestion on roads and improved first and last mile connectivity at Metro stations across the city, ridership is going up every day. “Metro rail ridership is now crossing the one lakh mark on several days. This is a good sign for the future of public transport in Hyderabad “said Reddy”. Many office goers said they were happy to take the Metro to reach their destinations rather than facing bad traffic on the roads. “I think it’s a wonderful gift for the people of the city. I have been taking the Metro to Kukatpally daily and I am sure with time, more people will park their cars and take the Metro to work,” said Ashutosh Sahu, a resident of Ameerpet. Metro ridership crossed the 1 lakh mark on August 16-a normal day, partly due to heavy traffic congestion near Eragadda where road laying works are currently being carried out by the Greater Hyderabad Municipal Corporation (GHMC). A total of 1.07 lakh passengers, including 98,113 paid passengers traveled on the metro on August 16-shows figures. authorities ran 60 additional trips on the day of the strike for the convenience of commuters.